We recently got a side of pork, and when I pulled out packages of pork steaks, I wondered how to cook pork steaks – what is the difference between a pork steak and a pork chop? How do you cook pork steaks to tender? Can you cook a pork steak in the slow cooker? First, let’s start off with the difference between pork chops and pork steaks. Pork Chops and Pork Steaks taste the same – but look different, and are cut from different part of the pork loin. All the meat along the loin is considered pork chops – but the very front and very back parts of the loin have different bones. The center cut rib pork chop and the ribeye pork steak both come from the center of the loin – though their bones are different. Both pork chops and pork steaks can be dry if overcooked or cooked wrong – but are easy if done correctly. I like to cook them either in a slow cooker (slow and low), or seared in a pan and then baked in a very hot oven to bring perfect, tender and never-dry pork. 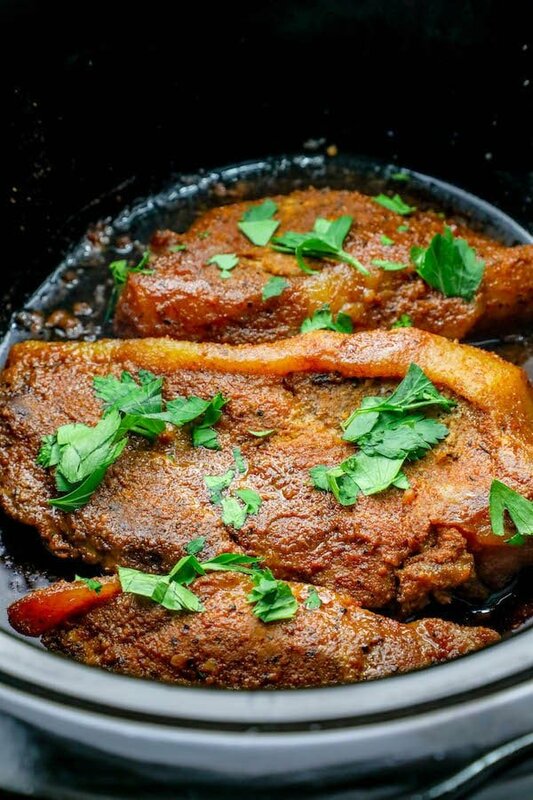 For pork steaks though, this slow cooker pork steak recipe really is my absolute favorite. 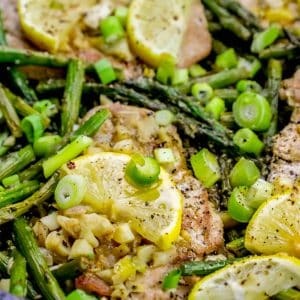 It brings tender, juicy, and delicious pork steaks – just drop in the slow cooker and go about your day! 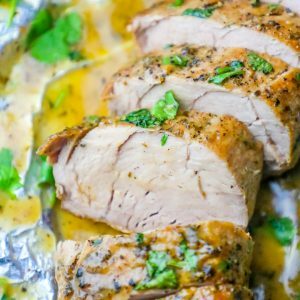 This recipe is really more of a technique than a recipe – how to cook pork steaks in a slow cooker for never-fail tender, juicy pork steaks and pork chops that are delicious on their own – or in wraps, sandwiches, salads, tacos, burritos, or even with pasta! 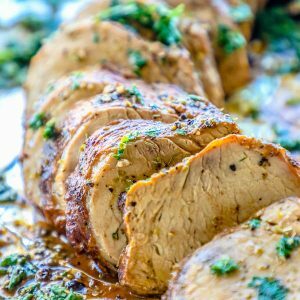 This easy slow cooker pork steak recipe is incredibly adaptable – you can use any dry herb/seasoning mixture you love (taco spices, bbq rub, pork rub, five spice mix, etc.) 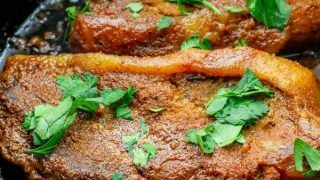 – to make tender, never-dry pork steaks in the slow cooker with. 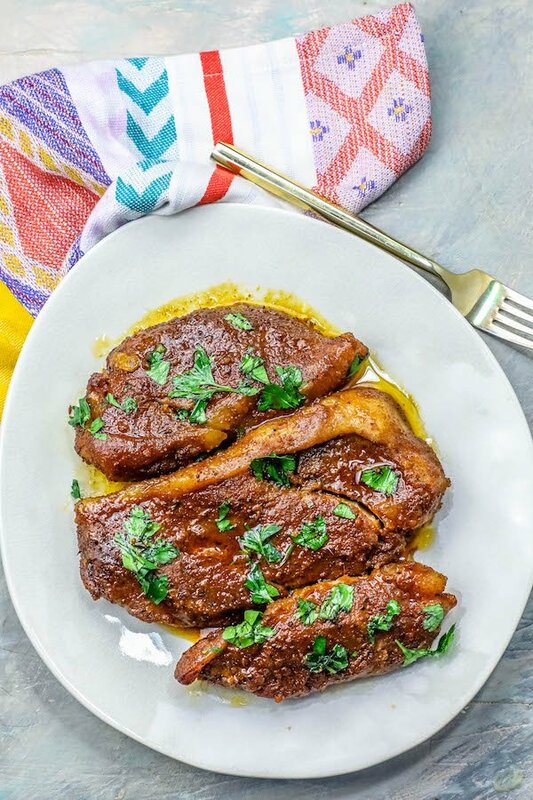 This recipe for the best pork steaks in the slow cooker is surprisingly simple and delicious, but there are a couple tips and tricks to ensure perfect, never-dry slow cooker pork steaks. -Pat pork dry. I really like to be sure the seasonings I am adding to the pork stick and sink in, so I am sure to pat them dry before adding the rub. -Don’t add extra liquid. We’re cooking thick cut pork steaks (or thick bone in chops) – which have plenty of fat. Don’t add in extra moisture – you don’t need it in the slow cooker! -Use a Rub you love. 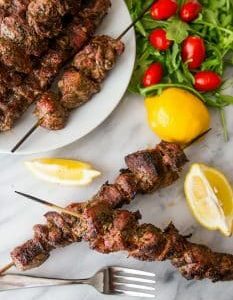 This recipe is totally adaptable – you can use pork rub, bbq pork rub, herbs de provence seasoning, taco mix, ranch dressing seasoning – any herb mix you love. This quick and simple slow cooker pork chops or pork steaks recipe is one of my all time favorites – if you love it as much as I do, please check out some of my other favorite low carb keto pork dinner recipe ideas! Click the link for each easy to follow family favorite recipe! 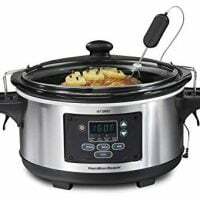 This slow cooker pork dinner recipe is incredibly easy – but there are a few tools I use to make them even easier. 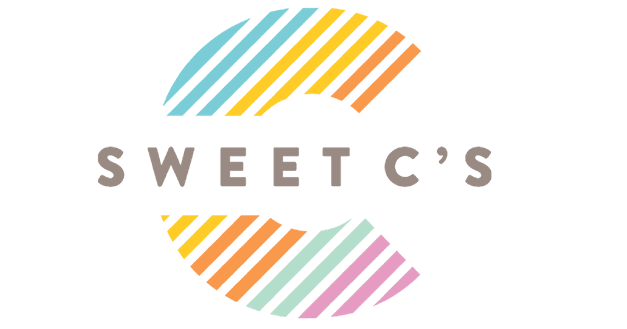 Click the links below to my Amazon Affiliate page where I share my favorite kitchen essentials! 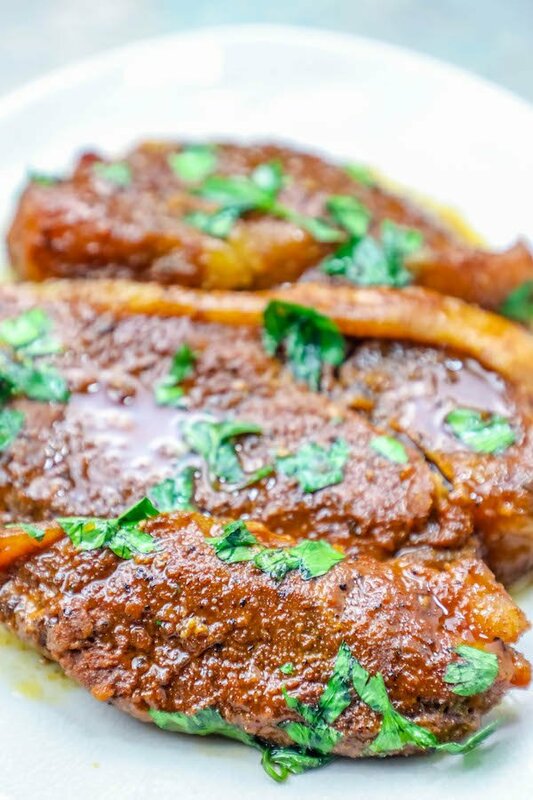 If you love this Easy Slow Cooker Pork Steaks recipe as much as I do, please write a five star review, and be sure to help me share on facebook and pinterest! Pat any excess moisture off pork steaks with paper towel. Generously rub pork steaks with pork rub, salt, and pepper. 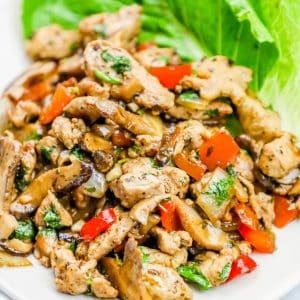 When pork is fork tender, remove and serve with rice, vegetables, or a salad - or shred and enjoy in tacos, burritos, or a pulled pork sandwich! Yes and it gives even better flavor! 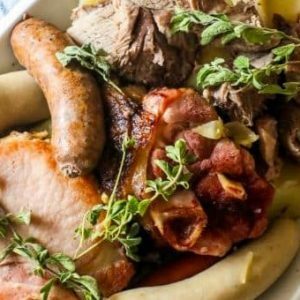 I personally prefer everything to be browned before going into a slow cooker, but I try to make recipes that can be used without that step since I know it doesn’t always work for everyone to pre-brown. I made this yesterday. Used a home made pork rub that I found on another site. It was amazing. My husband said to put it at the top of the list of recipes to cook again. Thank you. And soooo easy.